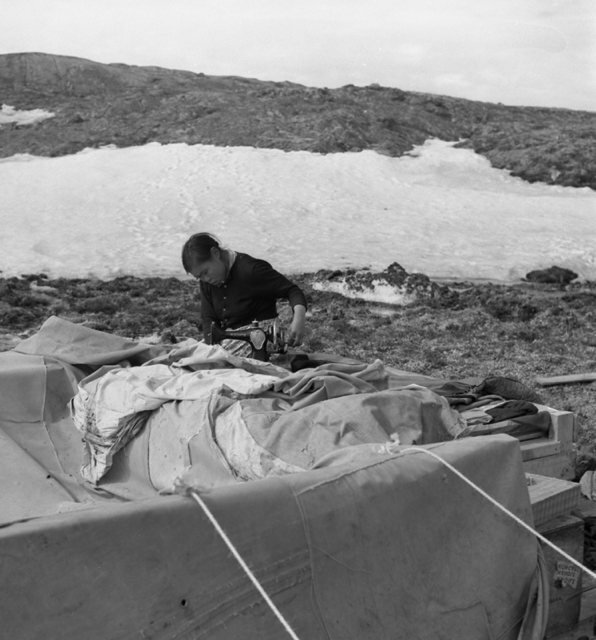 Inuk woman repairs canvass tent dwelling on a hand-operated Singer sewing machine. Summer tent on a wood base, collapsed for repairs. Apex Hill, Frobisher Bay. July /56.